OPEC decisions regarding oil production come to the top news, the incident with the arrest of Huawei's deputy chairman, and somewhere aside there are news about the state of the labor market. Today, we don’t pay much attention to this, but the ADP data published yesterday is slightly frightening. 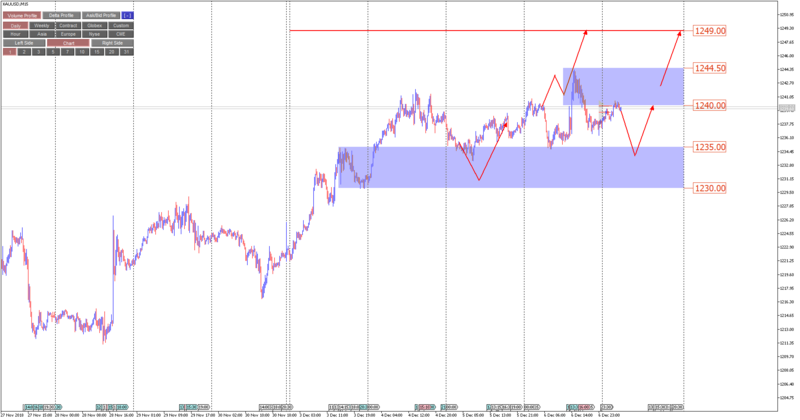 AUDUSD pair is dependent on these events. The arrest of the representative of China is hitting under the agreements of the USA and China, as well as AUDUSD quotation. If the issue can be resolved, we will see an increase in quotations. 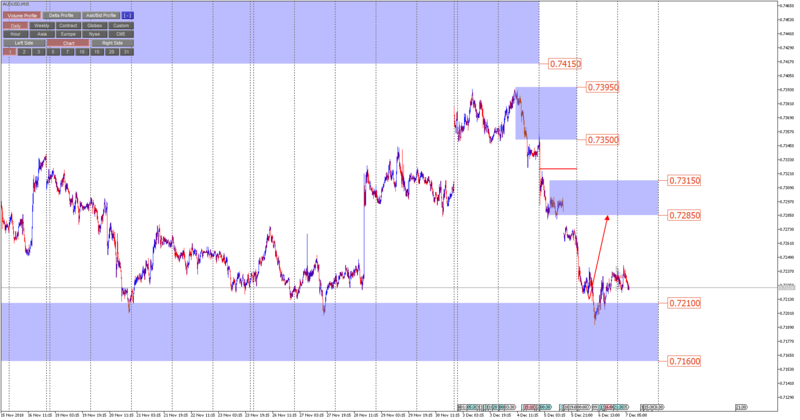 We continue to rely on the price range of 0.7210-0.7160 as support. We are waiting for some growth towards to local resistance at 0.7285. Gold continues to show an upward trend. Yesterday's update of the maximum was not bad, and it is remarkable that there are, at least for now, no signs of false breakdown. Therefore, we continue to rely on growth. Who has positions, continue to aim at 1249, who does not, you can consider buying when you roll back in support of 1235-1230 with a target of 1240 and 1249. The appearance of prices below 1230 cancels our shopping scenario. In this case, it is better to return to the tool after the weekend.